Exporters & Importers in the market for airfreight today have many options. Unfortunately, most of these options are really quite standardized and shipments must fit into a certain mold With Tashi Dorju Freight (P) Ltd. , flexibility is the key. Airport-to-airport or door-to-door, the integrated global service capability of Tashi Dorju Freight (P) Ltd provides you with customized airfreight forwarding options for all your shipments, both imports and export. The routing and all operational procedures for each single airfreight shipment are painstakingly planned before dispatch and monitored as instructed by the client. 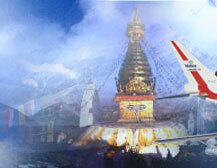 We maintain excellent relationship with the world’s best airlines, freighter operators, and charter operators. This leaves us a free hand in carrier selection and enables us to offer the very best solutions to our customers, every time. Tashi Dorju Freight (P) Ltd provides worldwide sea freight forwarding and consolidation services for all types of merchandise. Tashi Dorju Freight (P) Ltd ’s World Logistics Network of resources offers a reliable door-to-door or port-to-port service for both LCL and FCL units. 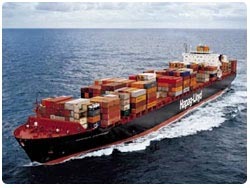 Our long-term partnerships with major shipping lines ensure we meet our customer’s service requirements. Tashi Dorju Freight (P) Ltd ’s offices in Calcutta ( India), Birgunj, Raxual, Biratnagar, Simra, Bhairhawa, and, Kathmandu has the LCL depot for consolidation and fixed Consol Box departure weekly for worldwide destinations. Full monitoring is accessible with EDI and Internet for the shipment tracking and status monitoring. For the Imports into Nepal, Tashi Dorju Freight (P) Ltd has the very systematic arrangement in the Calcutta port for the port clearance and on-carriage by trailer and containerized trucks to any part of Nepal. Tashi Dorju Freight (P) Ltd has also strong operations and set up in Singapore and Colombo for the transshipment of the import and export ocean cargo of Nepal. Availability and parking of the empty marine containers. Reliable and efficient communication by E-mail, Fax & EDI. Warehousing & Distribution Facilities throughout the kingdom. 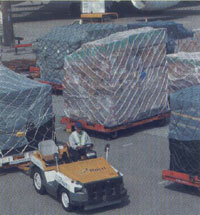 Forklifts and other handling equipment, container repairs facilities. Quality of packing provided at origin is the key to a successful move & this is where our packers excel. We use finest packing materials & our workmanship is of highest quality. Fragile possessions like crystal & art are individually wrapped & packed into cartons or customized crates & cases for maximum protection. We carefully pack your goods to ensure they arrive safely and in the same condition as when we received them. We are providing the Warehousing & Distribution system tailor-made to the clients’ individual requirements. Our warehouse can be used for the storage of Household & personal effects, automobiles, heavy machinery, commercial cargo or office records at our insured warehouse until you need them. Dedicated containerized trucks for scheduled delivery within Nepal. 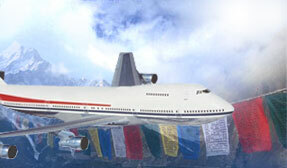 For Project Forwarding & Handling, Tashi Dorju Freight (P) Ltd makes full use of its proprietary national & international network of offices, linked together with our sophisticated, integrated computer systems. Our multi-faceted scope of capabilities means clients can depend on Tashi Dorju Freight (P) Ltd to plan, coordinate, supervise and monitor the entire move. We do feasibility studies, check packaging options, and arrange storage and insurance, take care of all bookings, receive goods from subcontractors, prepare all documentation, supervise transit and coordinate the entire project. Pricing is offered either an “all-in-one” basis or tailored to a per-unit factor, depending upon each client’s needs. Tashi Dorju Freight (P) Ltd .’s Door-to-Door is the service for documents, parcels, samples etc. Integrating the Tashi Dorju Freight (P) Ltd.‘s expertise and many years of experience in the transportation field was recently developed in order to meet the changing requirements of transportation. Tashi Dorju Freight (P) Ltd. has launched this service with the nationwide transportation network, an up-to-date computer system and skilled human resources. Let Tashi Dorju Freight (P) Ltd. deals with your DOOR-2-DOOR shipment for your requirement so that your valuable time is spent on your core business. 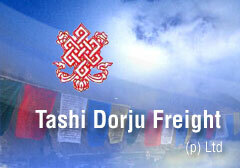 Tashi Dorju Freight (P) Ltd. is 100% professional on the Integrated Logistics Transport.